E3, It’s the second most wonderful time of the year (Christmas without a doubt the best). Over the years there have been some massive and unforgettable game announcements and reveals. There have been some truly incredible conference moments that jab at rival parties conferences. All in all E3 always has moments that will leave people shellshocked and open jawed. In the build up to E3 next week I’ve decided to take a trip down memory lane at some of my personal favourite moments from past E3 conferences. Some of these are game reveals or just general wow moments over the years. This was the first glimpse at the power of the PS3. The infamous Killzone 2 trailer back then was absolutely stunning. Games had never looked this good. The power of the console was also backed with the incredible Motorstorm trailer too. Of course the games never looked that good when finally launched, they looked good yes but not THAT good. I’ll always remember these reveals and my jaw dropping especially at the Killzone trailer which I genuinely lost count of how many times I watched it. 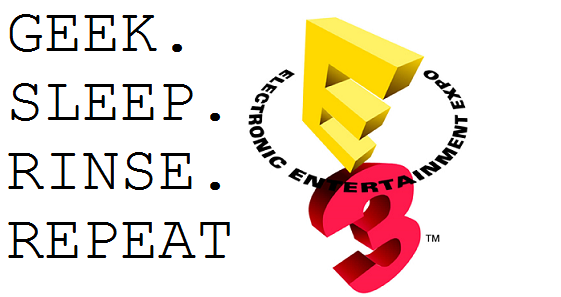 E3 2013, the dawn of a new generation of consoles. Each console manufacturer had held a press event prior to e3 to get information on their console out in the open. Microsoft perhaps revealed a little too much though and Sony capitalized on the back lash in a massive way at e3. In the space of 2 minutes of confirmations about the PS4, it set the tone for the consoles futures going forward and could still be felt this much later into their consoles life. Microsoft are making changes to combat the initial hit, but was the damage already done at E3 2013, did this 2 minutes of the Sony conference ultimately set the route for the 2 consoles? By undercutting the price and the announcement of allowing friends to borrow games and purchase pre-owned titles the conference hall was ringing with chants of “SONY SONY”. What a moment, the return of the king. Without a doubt the biggest and best moment for me. I was on a hospital bed recovering from arm surgery, Will and a fellow friend were updating me with texts about what was happening. I asked about Nintendo but they weren’t all that responsive saying not a lot happened, I should mention that I think the Nintendo conference wasn’t the biggest draw for those 2 guys, they liked the Gamecube, but were more so excited about Xbox and PS2. Well they failed to inform me that a new Zelda game had been announced. I got home from hospital a day later, checked Gametrailers, and there it was. A new Zelda title that I’d been unaware existed. I watched the reveal at the conference and it was just amazing. The reaction of the crowd was awesome, I’m sure grown men were more than likely brought to tears with this, And this was once again part of that infamous 2004 conference with the introduction of Reggie. So there you go, my E3 highlights. What are yours?